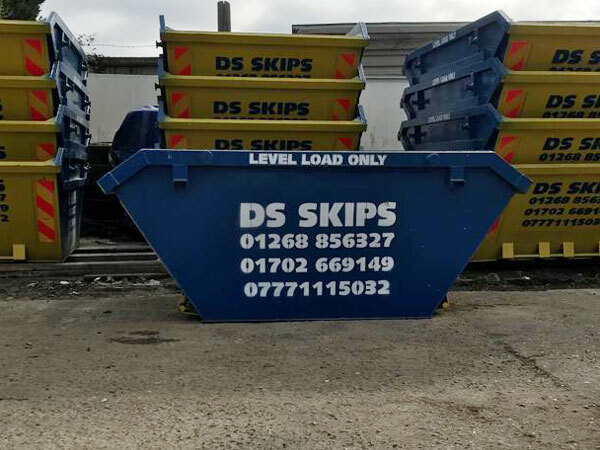 DS Skip Hire is the leading provider of Wait and Load waste removal services in Essex and surrounding areas. 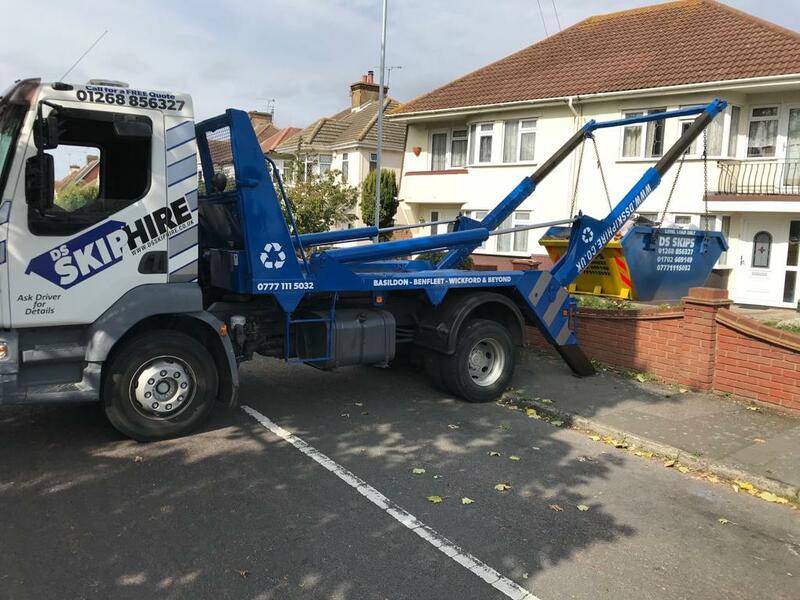 A Wait and Load service involves a driver waiting while a skip is being loaded with waste from your business or property. Once all of your waste has been placed in the skip, our driver will immediately take it to an authorised waste management centre. Our Wait and Load service is a popular alternative to a normal skip hire service. 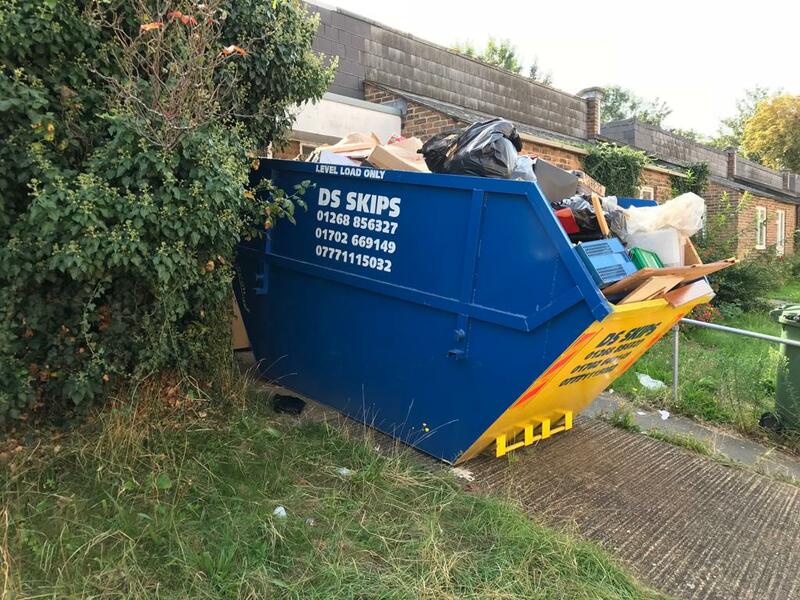 Instead of a bulky skip being placed on your property for days, it will only be on-site for an hour or two as you load your waste material into it. Wait and Load is very useful when you have a property that doesn’t have enough room for a skip to be placed on it for more than a day. It is also handy when a skip permit cannot be obtained due to council restrictions or access issues. Both commercial and residential clients use our Wait and Load service, but it is particularly popular on building and construction sites where waste must be cleared quickly and space is at a premium. 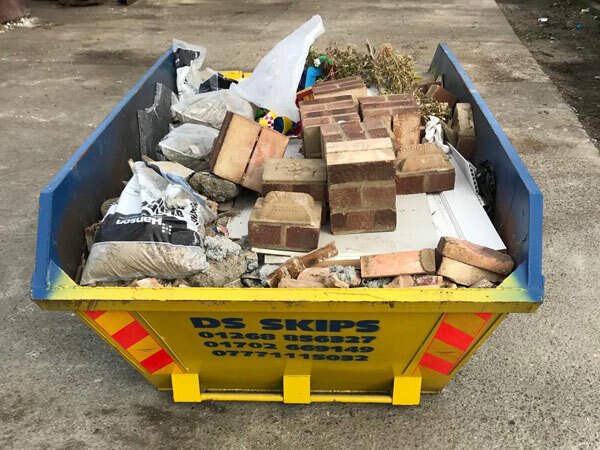 DS Skip Hire is a registered waste carrier (registration number CBDU242119), so you can be certain that your waste will be handled correctly. We take care of all waste documentation including a full audit trail. Disposal is performed at a licensed and state-of-the-art waste recycling centre. 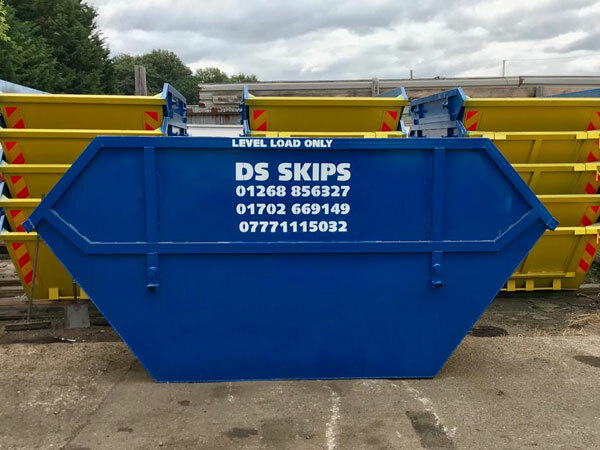 One of our friendly employees will be able to help you choose the right skip for your project. How does our wait and load skip service work? 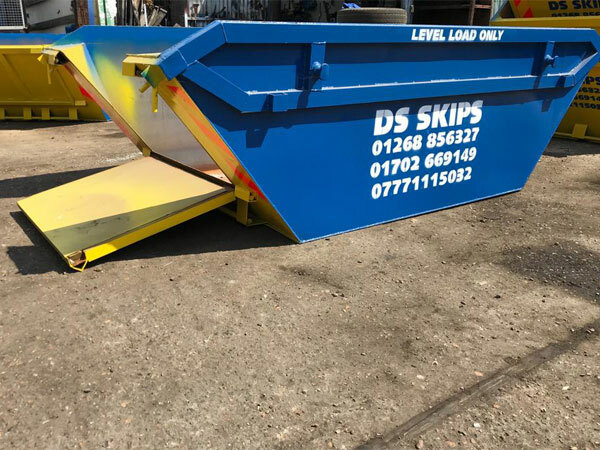 When you contact DS Skip Hire, you can arrange a booking for your Wait and Load skip with one of our friendly consultants. 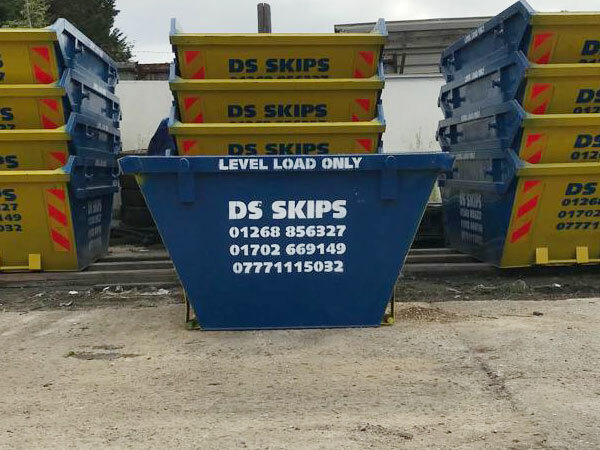 We can provide Wait and Load skips 6 days a week in Essex and surrounding areas. 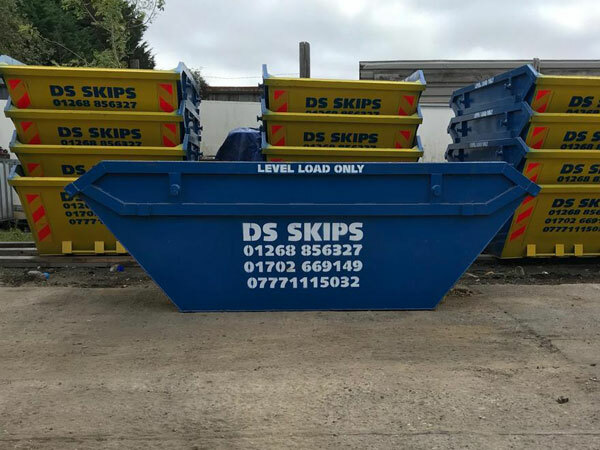 Skips are also available in a range of sizes (our consultants can help you choose an appropriate size). One of our drivers will then deliver your skip at the arranged date and time, then wait as your waste material is loaded. 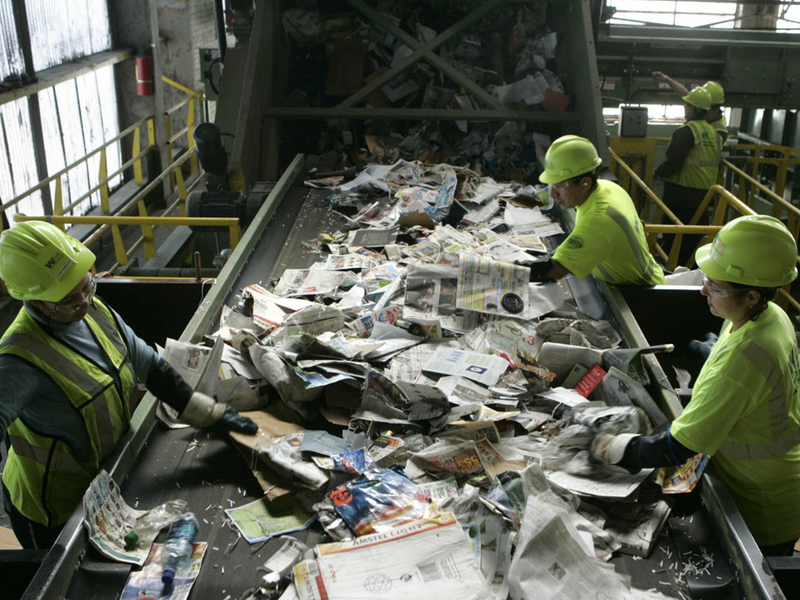 Once all waste material is collected, they will immediately take it to a waste recycling facility. How much does our wait and load skip service cost? You will be pleasantly surprised by how affordable our rates are for wait and load skips. In many cases, it is more affordable than having a skip delivered to your property. It can be cheap because you aren’t paying for the time a delivered skip is sitting on your property and you will only pay for the waste that we take. There is no risk of ordering a large skip then realising you only have enough waste to fill half of it. We can also take individual items, which is useful if you have a large appliance that needs to be disposed of. You won’t have to hire an entire skip to remove a few items, which can save you money. To learn more about pricing contact us today. What kinds of waste can go in a Wait and Load skip? What items can’t go into a Wait and Load skip? 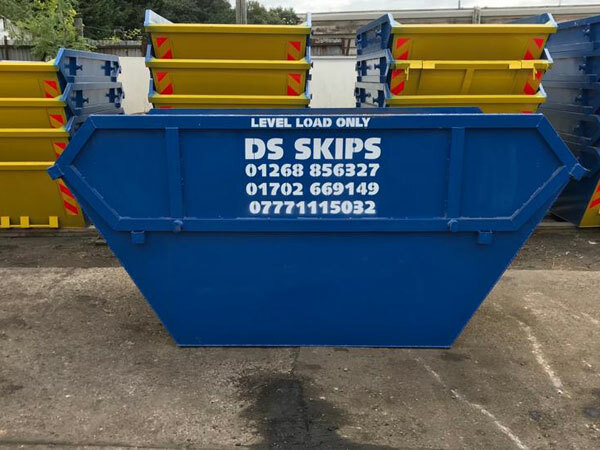 Why use the DS Skip Hire Wait and Load skip service? Here are a few reasons why you should use our wait and load skip hire service. When you use our wait and load skip service, the skip will only remain on your property as long as it is needed. You won’t have to find additional space for the skip and you won’t have to obtain a permit. One of our friendly drivers will deliver the skip whenever it is required and wait for it to be filled. Your convenience is our main focus. 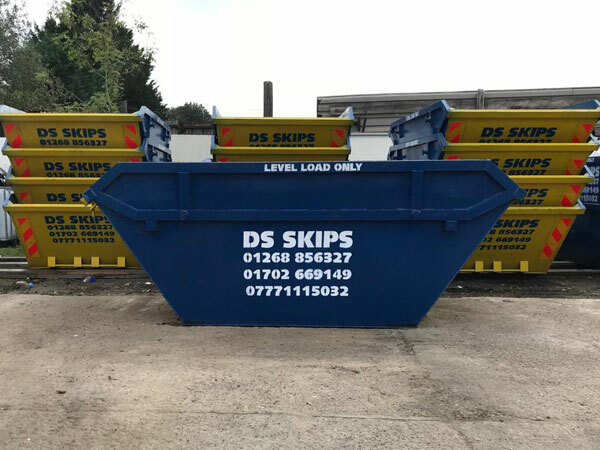 DS Skip Hire is a family owned company that has been serving the people of Essex for more than 10 years. We have helped hundreds of commercial and residential clients in Essex and love serving this wonderful community. 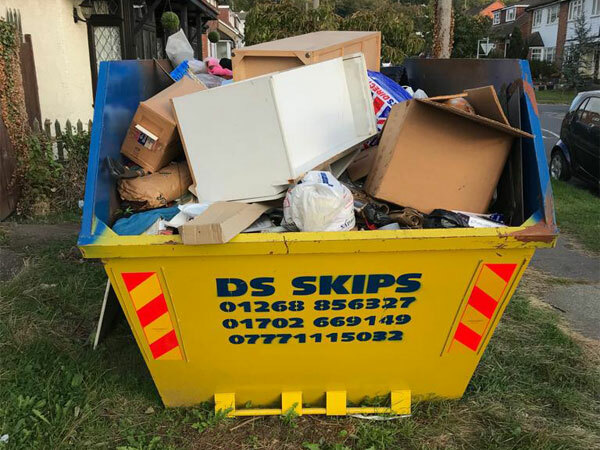 DS Skip Hire is a registered waste carrier (registration number CBDU242119). 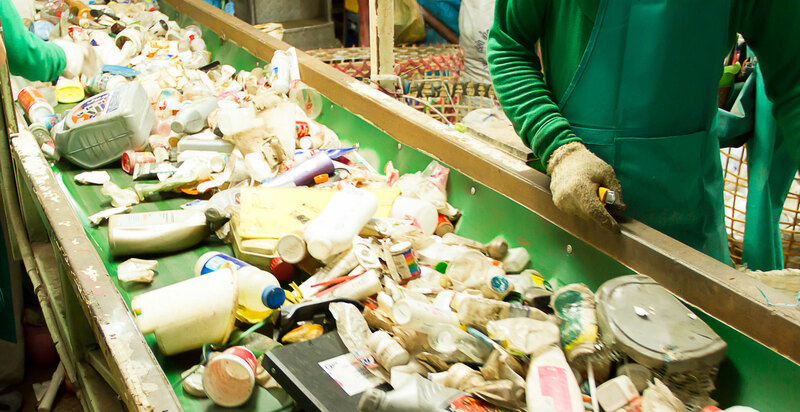 All waste is handled correctly and sent to licensed waste recycling facilities. 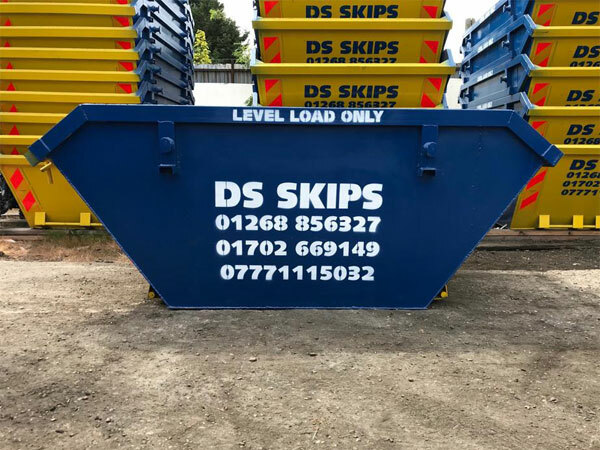 DS Skip Hire provides clients with free quotes. You will be surprised by how affordable our rates are for our Wait and Load service. Our hand-picked team is very friendly and good at their jobs. They will arrive on time and help you remove waste from your property very efficiently. 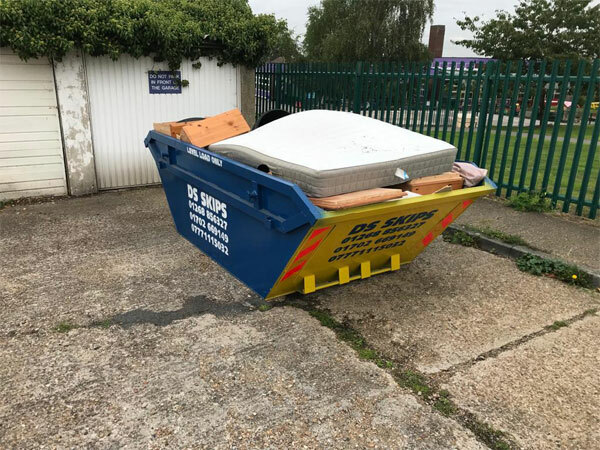 We provide a wait and load waste removal service to all parts of Essex including Ashingdon, Basildon, Benfleet, Billericay, Brentwood, Burnham, Canvey Island, Chalkwell, Chelmsford, Corringham, Eastwood, East Hanningfield, Grays, Great Wakering, Hadleigh, Hawkwell, Hatfield Peveral, Hockley, Hordon-on-Hill, Hullbridge, Hutton, Laindon, Leigh-on-Sea, Orsett, Pitsea, Purfleet, Rayleigh, Rochford, Shenfield, Shoeburyness, Southend-on-Sea, South Woodham Ferrers, Stanford, South Ockendon, Thundersley, Thorpe Bay, Westcliff-on-Sea, West Hanningfield, West Horndon, and Wickford.